It’s of little surprise that the new list of ‘best places to retire’ appears to be loaded with destinations in Latin America, plus a handful in Asia. International Living Magazine puts out a yearly list of its 19 highest rated retirement countries and this year’s list has Ecuador on top overall. The entire list is gated (available for a $1 payment) so I can’t reprint the whole thing here, but there is a detailed summary available here which discusses the highlights of the ratings for 2012. I’m quite sure that in the coming decade or two there will be a huge shift in thinking (in non-Latin America and Europe) where people considering retirement will automatically consider moving to another country, rather than only the boldest retirees as it is today. Let’s say a couple retiring in the United States has a modest home to sell plus Social Security checks totaling only US$2,000 per month. Staying put or even moving to Florida or Arizona will put them at the edge of affordability, but that same couple can live almost like royalty in dozens of other countries around the world. It seems clear that retirement communities will be growing and become more welcoming to new waves of people who’d rather upgrade their lifestyle in retirement instead of just hanging on. As the article points out, in places like Ecuador, Honduras, Panama, and Costa Rica, you can rent a nice house for under US$500 per month, including expenses, and even hire a maid and gardener for just a bit more. A couple can live an active lifestyle in a tropical setting for way under US$2,000 per month if they’d like, so most can still afford to fly home to visit relatives a couple times a year if they prefer. It seems that southern Mexico and Central America in particular will be the new home to millions of American retirees, including many who retire early and prefer to live in a sunny location while they are still active enough to enjoy it all. Having lived for half of 2010 in Thailand I was a little shocked to see how many Americans and Europeans have retired there, but looking around more reveals exactly why it’s so appealing. As long as you stay out of Bangkok or the Phuket resort areas (which is a good idea anyway) you can rent a modern air-conditioned house near a beach or in the hills for well under US$500 per month. It’s also warm and sunny pretty much every day of the year, to the point where it’s too warm for many, but AC is affordable. With economic stagnation becoming the expected norm for quite a long time to come, I’m certain that more people are going to start planning on getting better value for the funds they have as opposed to trying to get rich for a comfortable retirement in Palm Springs or West Palm Beach. 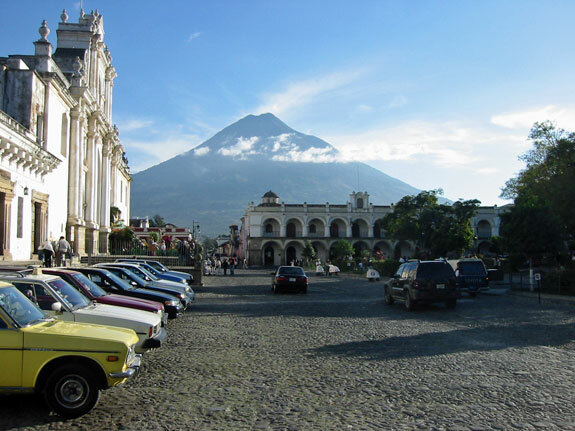 How ironic that you show a photo of beautiful La Antigua, Guatemala and yet you do not mention this amazing city by name in your article. Thank you because I enjoy not having Guatemala overrun with expats. Yes Antigua has lots of tourists but they come and go and bring excitement and diverse amenities to this charming little town. My top picks for retirement are La Antigua and Lake Atitlan, both in Guatemala. Forget the rest because they are overrated and will one day not be such desirable places to live due to the influx of foreigners.